With the proliferation of e-scooters and e-skateboards, Occidental’s long-standing policy on such devices is being reconsidered. Vice President for Student Affairs and Dean of Students Rob Flot sent an email to the student body Feb. 4 reiterating the enforcement of the school’s current policy on skateboards and scooters, last updated January 2016. Prompted by an increase in campus use of electric skateboards and electric scooters, Flot stated that the college would be increasing monitoring and policing of electric as well as non-electric skateboards and scooters on campus. “Based on concerns for the safety of boarders and pedestrians, as well as documented risk and liability issues, the use of skateboards, longboards, hoverboards (and other self-balancing boards), roller-blades, skates, razor scooters, and other devices not considered to be vehicles, according to Section 670 of the California Vehicle Code, is always prohibited anywhere on the campus,” the college’s policy reads. According to Flot’s Feb. 4 email, the college interprets Section 670 of the California Vehicle Code to justify the banning of all scooters and skateboards. “As you can see, all types of scooters and skateboards are prohibited under the current policy, whether they are powered electronically or by foot,” Flot wrote. Section 670 of the California Vehicle Code defines a vehicle as a device that propels, moves or draws upon a highway any person or property. The law explicitly excludes from its definition of a vehicle any device moved exclusively by human power, such as traditional skateboards, scooters or rollerblades. Certain models of e-scooters and e-skateboards, which rely on a mixture of human and electric power, may be read as being within the state’s definition of vehicles and not subject to the college’s ban on non-vehicles. Certain devices that would fall under the state’s non-vehicle category, such as bicycles, have dedicated line-item policies in the college’s student handbook that allow for their use on Occidental’s campus. Regarding the college’s renewed enforcement of the policy, the Feb. 4 email announced a town hall to be held Feb. 8. According to Flot, the town hall went unattended. Some students on campus, like David Rothman (first year), have questioned the policy. Rothman, an electric skateboard user, said he was unable to attend the town hall meeting due to a conflict with his first-year Cultural Studies Program (CSP); Rothman said that he emailed Flot with questions regarding the policy, but received no reply. Flot confirmed that he had not yet responded to Rothman’s email at the time of interview. Rothman said he was curious about the reasoning behind the policy. According to Julian Halpern (junior), there should be different policies for electric vehicles and non-electronic skateboards because the speed of the electronic skateboards makes them dangerous to the general population. Kendrick Shoji (junior), a traditional skateboard user, also said there needs to be a separate policy for electric skateboards. According to Shoji, the motorized aspect of electric skateboards increases liability and the chance that a student might get hurt. Shoji said that there are other issues with the policy as well. According to Shoji, the policy isn’t uniformly enforced, which can be confusing for skaters on campus. Halpern said that he believes the policy has more to do with a concern for image rather than safety. According to Halpern, skateboarding is a medium to socialize with other people and something people use to creatively express themselves. Halpern said that skating is an important part of local youth culture in Los Angeles and that banning it negatively impacts the culture of the school. Shoji, who has been skating since the age of 12, said that skating is a fundamental part of who he is and that he is not planning on stopping anytime soon. Rothman, an electric skateboard user, said that he skates not because of any particular symbolic meaning, but because it is a good alternative to walking and an enjoyable form of transportation. 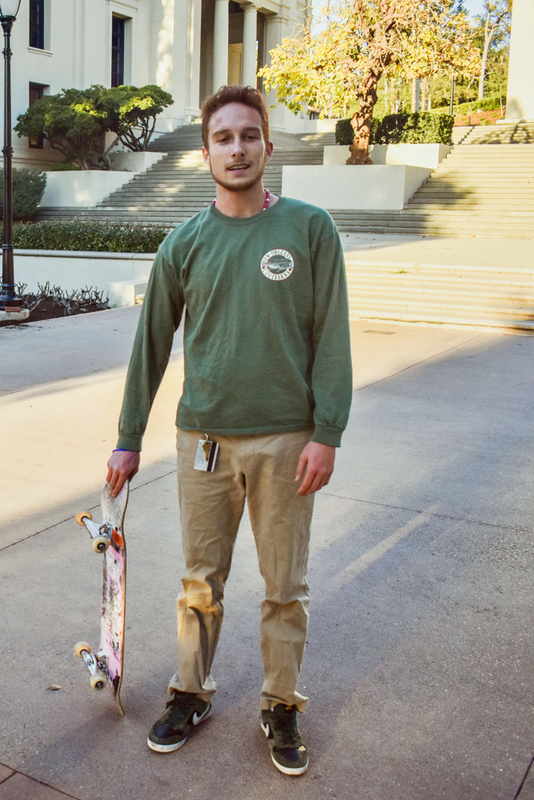 Flot said that he is not opposed to the idea of skateboarding, but that his primary concern as dean is to ensure the safety of the student body. Flot said that there are other parties that need to be involved in any policy, such as the legal counsel and the risk management team. 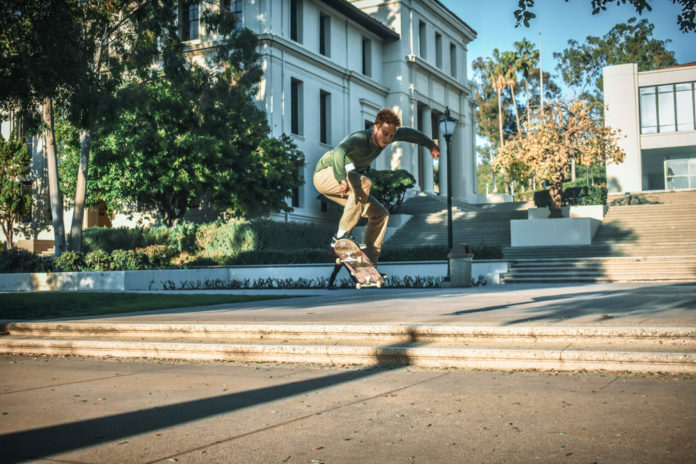 According to Flot, he is continuing to reconsider the policy and would be interested to see if there is a way in which people can skateboard on campus in a safe manner.